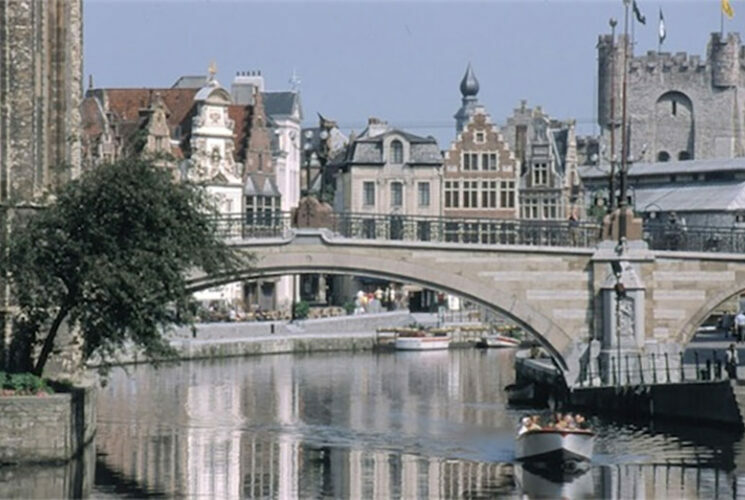 The Amsterdam to Bruges bike and barge cycle tour is an exciting and diverse holiday experience that highlights some of the most beautiful cities of Holland and Belgium. 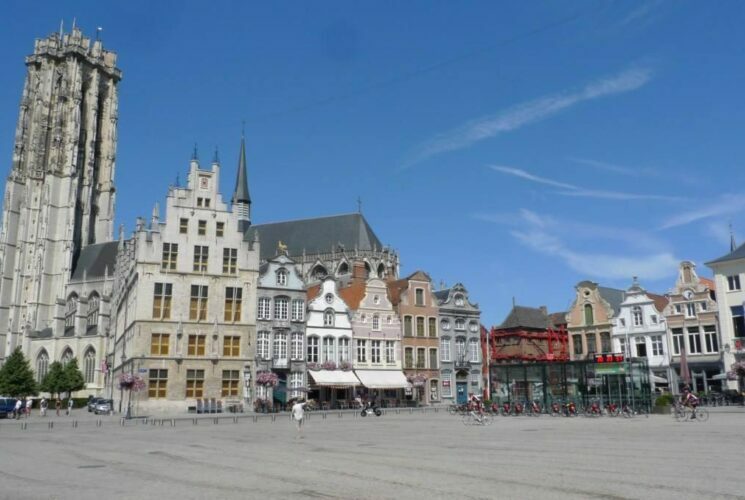 On a daily basis you will cycle through a variety of flat landscapes through charming villages and historic cities while cruising along the impressive waterways of Zeeland, the River Schelde and the picturesque Vecht and Lek Rivers. 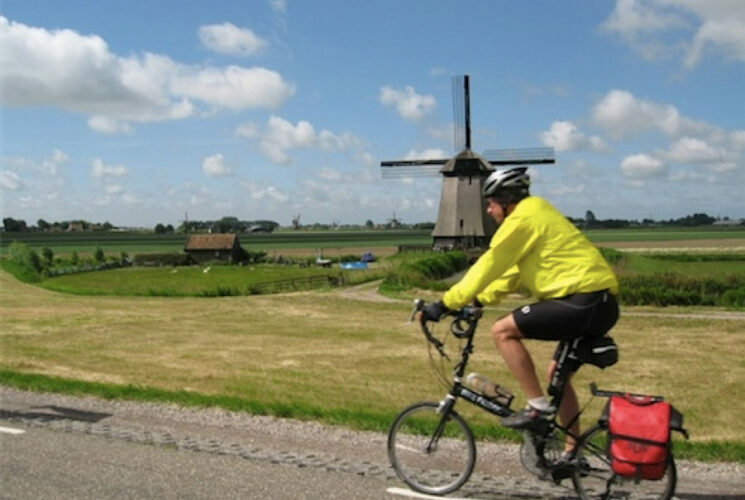 The tour is perfect for families who want to cycle together and enjoy barge life or, for that matter, anyone wanting to enjoy a delightful week of cycling to a long list of historic destinations. Each cabin has an en-suite bathroom with shower, toilet and basin. All twin cabins have a fixed window, the panoramic window in the double cabins can be opened. Each cabin has an individually adjustable air-conditioning unit, a ventilation system, a flatscreen TV and a hair dryer. The Fluvius has a large lounge (air-conditioned) with TV, bar and a semi-separate restaurant area. Wi-Fi is available. The barge also has a large sun deck with sitting places (tables and chairs) and a storage room for the bikes. While cruising, you can enjoy the scenery from here. 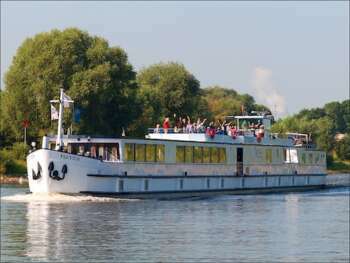 Disembarkation after breakfast until 09:30 AM: End of your trip. All distances are “approximate distances” of recommended bike tours. The tour details are barring changes, a.o. as a result of nautical, technical or meteorological reasons. The detailed tour programs for the various ships, which are being operated on this tour, can differ in details.